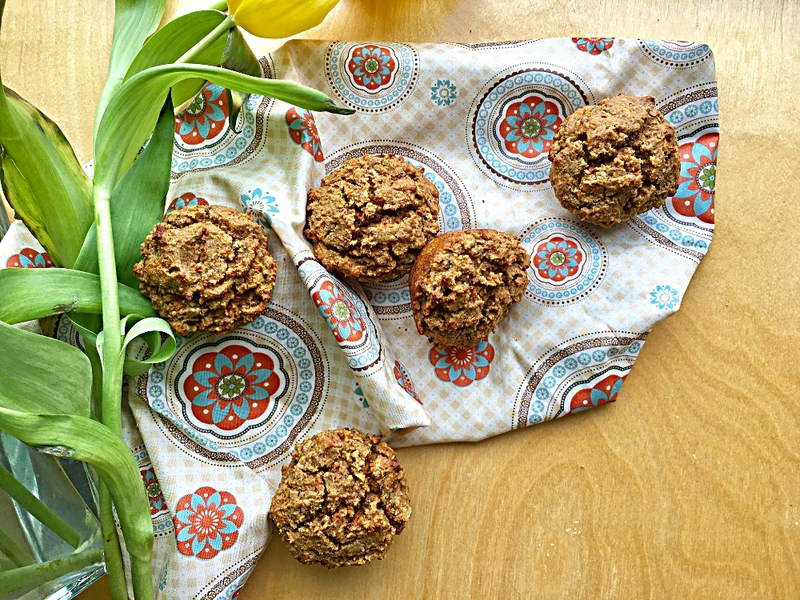 Made in the food processor, these Grain Free Morning Glory Muffins are the perfect treat for the lunchbox, after school snack or a grab and go breakfast. I’m reading The Hungry Brain by Stephan Guyenet, and he talks about the most common calorie dense foods consumed by adults and kids. You know what tops both lists? Highly refined carbohydrates…as in baked goodies. You know like those Costco cakes that masquerade as muffins? And cookies, donuts, breakfast confections. 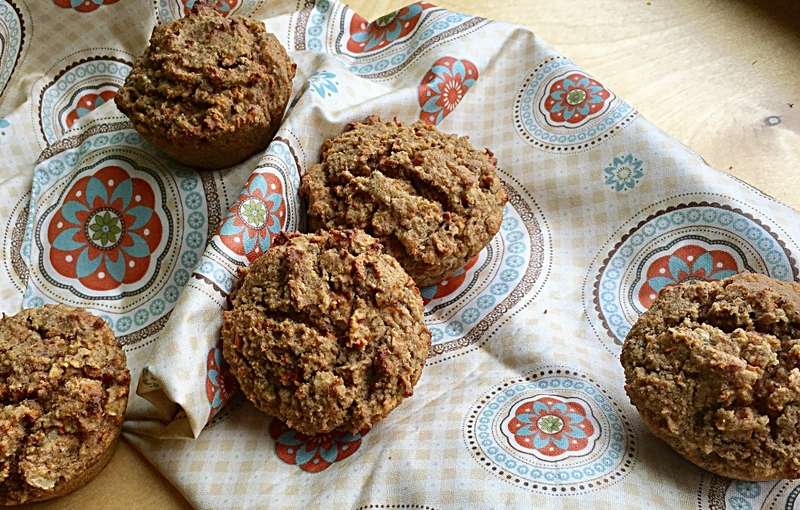 Well here is a satisfying healthy muffin you can feel good about feeding you and your littles. They’re high in protein, include veggies plus they have a mild sweet flavor. Totally kid approved by my grands. Before gathering all ingredients, grate peeled organic carrots and an apple in the food processor. Works like a gem. 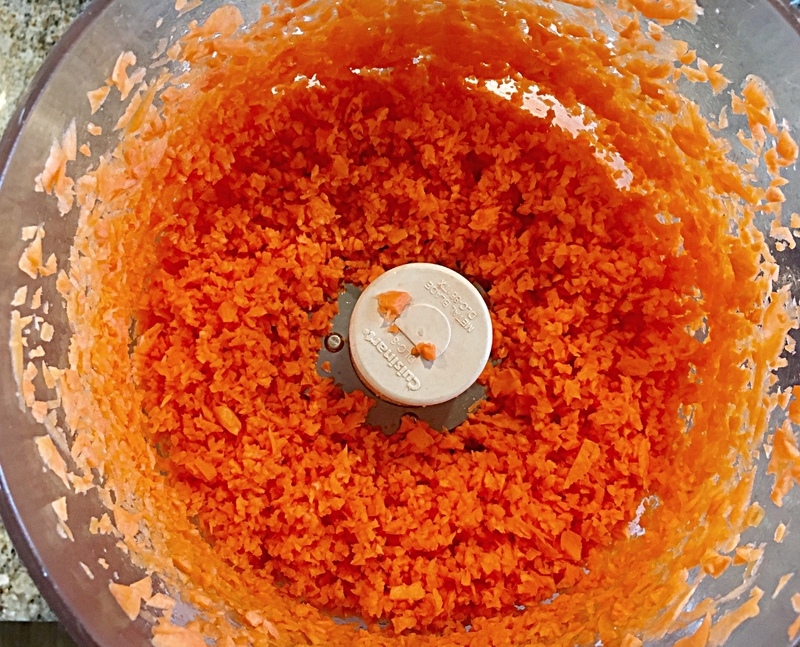 Just pulse the carrots until you get a good grated consistency. Scoop contents into a bowl and set aside. Rinse out food processor bowl and do the same with a peeled and cored organic apple. Again scoop out grated apple, place in a bowl and set aside for later. 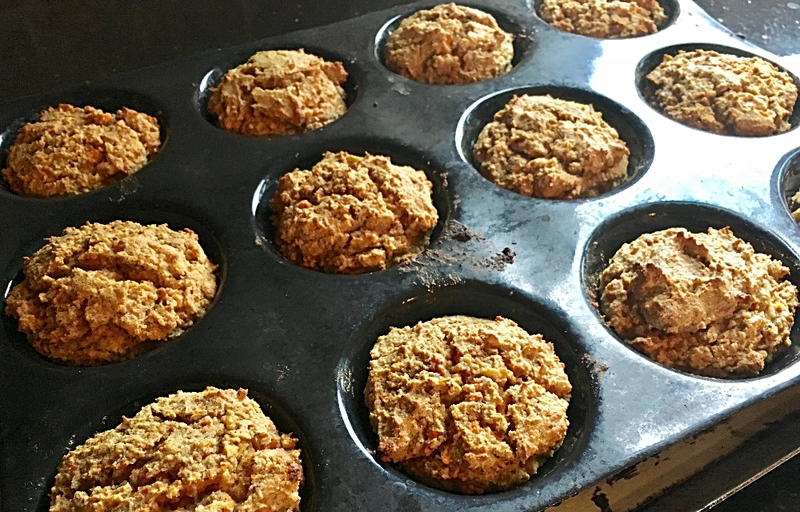 This recipe makes a dozen good sized high protein muffins. To simplify, grate carrots, apples and orange zest up to a day ahead. 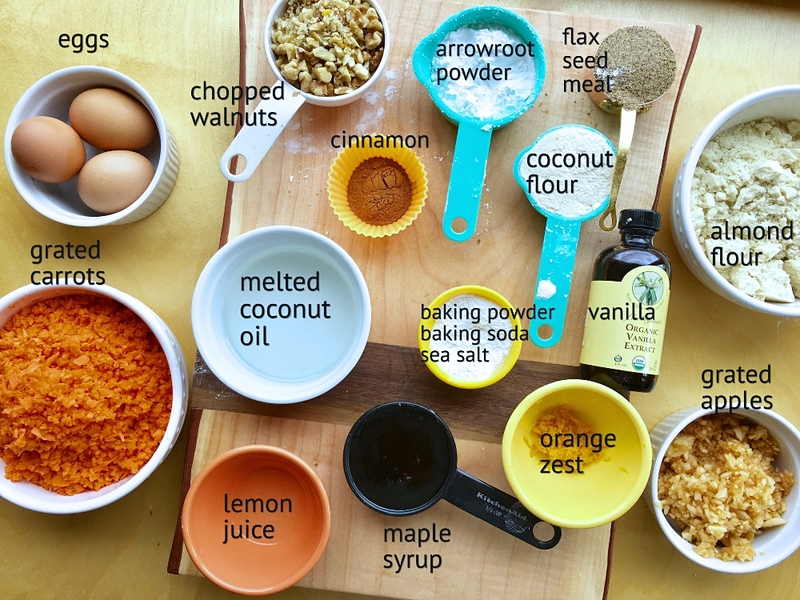 Layer all ingredients except for carrots, apples and walnuts into the bowl of a large food processor with an “s” blade. Pulse away until mixture is well blended. Gently fold in the remaining ingredients. Using an ice cream scoop, fill each cup about 2/3 full. Then devour or freeze to have a supply handy for your famished after school crew. 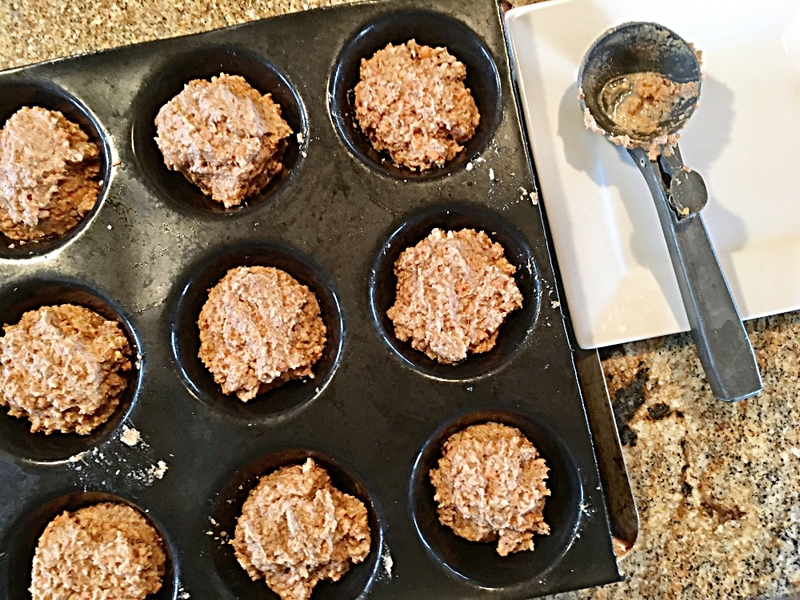 Line a 12 cup muffin pan with liners or coat with coconut oil. 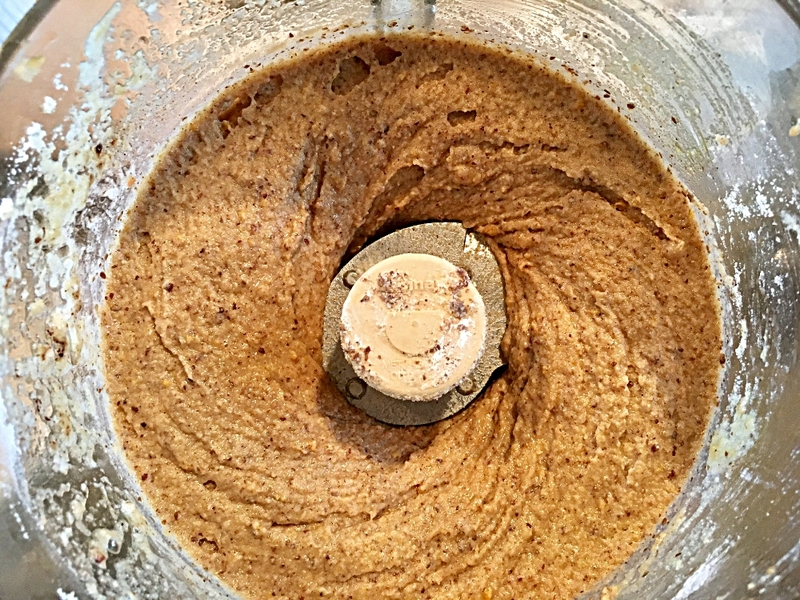 Place all of the ingredients except for the carrots, apples and walnuts, into the food processor with an “s” blade and blend until well mixed. Fold carrots, apples and walnuts in with a rubber spatula. 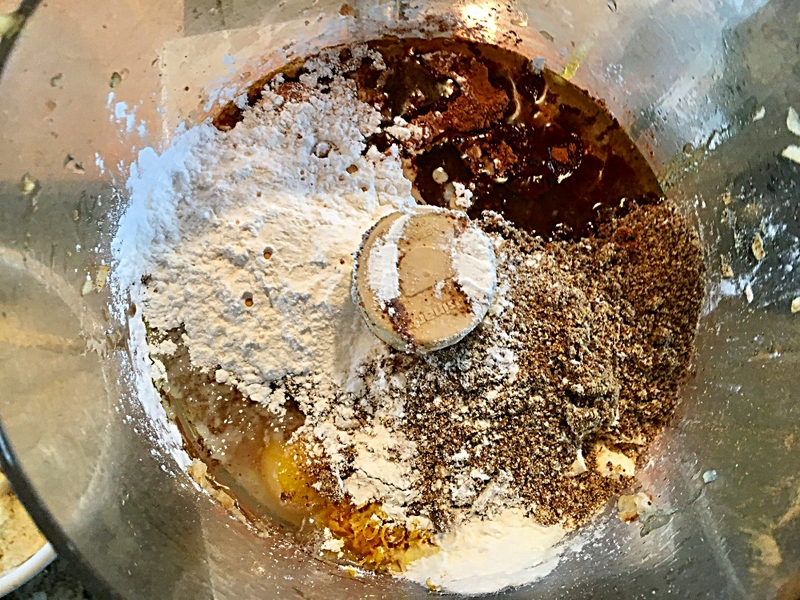 Scoop batter into muffin cups, distributing evenly. Bake on the middle oven rack for 20 minutes. Let cool in pan 10 minutes. These are so tasty. Enjoy! I’m going to get every single ingredient you posted and try again and again with these. Everybody loves them! The maple syrup is certainly enough sweet for them. Makes me so happy they were a WIN for your family! Thank you Lisa!